There is no net, and everyone seems to be for it or against it with little to no neutral space between. So what is net neutrality? A federal agency’s ruling in December will have impact across the country and perhaps the world. Access this week’s CLP Current Event to explore News Sources, Background, and more for everything from FAQs to who is suing whom. CLP: START HERE for an overview of what happened. Though published under Technology section, not Opinion, it is critical of the FCC decision. CLP: IMPORTANT. Consider the implications of Americans’ public comments to government agencies being hacked. CLP: NYT’s selection of differing perspectives of how left and right view net neutrality. Consider using to study reasoning of both. CLP: Tech writer explains new, tech-based solutions but returns to old-school, contact-your-representatives approach. What is net neutrality? Why does it matter to me? What are the arguments to keep net neutrality? What are the arguments to abolish net neutrality? What might change if fraud was committed in the FCC comment process? Why is net neutrality a partisan issue? Why is net neutrality a religious issue? Why is net neutrality a business issue? Why is net neutrality a regulatory issue? Why is net neutrality an equal access issue? recent FCC decision? Can Congress change this decision? What role might the courts play? What is “throttling”? Should users be aware of internet speeds? How is net neutrality handled in other countries? Why is this a global discussion? What’s going to change when these rules are adopted? If nothing would happen to the Internet if these new rules were not adopted, why should I care? If everyone agrees on the rules, why are we still talking about this? Why is the FCC taking this drastic measure to reclassify broadband? Will a new classification for broadband change anything? Essential question: How does net neutrality affect people who use the internet? Why do many consumer groups and some tech companies support net neutrality and government regulations? Why are large companies like Verizon, AT&T and Comcast against net neutrality rules? What options will consumers have to avoid paying more for internet services if net neutrality is scrapped? 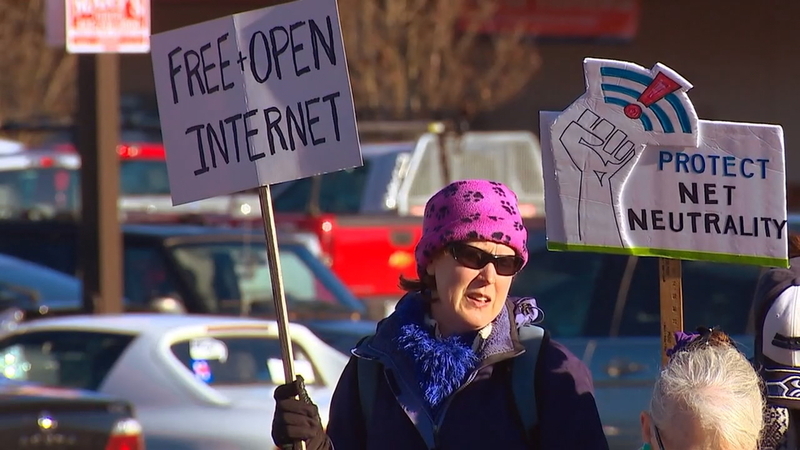 Do you think you will be personally affected if net neutrality rules are abolished? Explain your response. Do you think net neutrality regulations should be dismantled? Why or why not? Media literacy question: Kim Hart of Axios news discusses how tech companies like Facebook and Google had been more vocal in the past in their opposition to rolling back net neutrality rules. What brought on this change, according to Hart? Why is it important to know the types of organizations involved in the net neutrality debate, including tech companies, internet service providers and consumer groups? Essential question: How did the issue of net neutrality become so controversial? Why did the issue of net neutrality turn political? Why did Republicans on the FCC vote to end net neutrality rules and Democrats vote to maintain them? 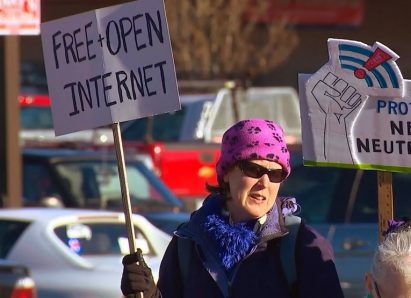 Why is net neutrality also referred to as the open internet? A recent poll showed 83 percent of Americans favor net neutrality rules, including 75 percent of Republicans, 89 percent of Democrats and 86 percent of independents. Why did the FCC officials choose to make a decision knowing that it was going to be unpopular? How will this change affect the next five years of the internet? CLP: Christian source; solid on the main issues. CLP: opinion but a look at the future. CLP: Oregon Attorney General Ellen Rosenblum includes Oregon in the fight. CLP: good for your legal nerds! CLP: Two bills pending before the California state senate to undo what the FCC did, but the FCC says states can’t do that! Oregon Will Join Lawsuit Against FCC on Net Neutrality, by Nigel Jaquiss, Willamette Week, Dec. 14, 2017. 8.25 Critique data for point of view, historical context, distortion, or propaganda and relevance.